High Green Farm is in Nidderdale AONB, close to the Yorkshire Dales and the spa town of Harrogate. It's a wonderful area for walking for people of all abilities and energy. We have some stunning walks straight from the door. Breath the wonderful fresh Yorkshire air and feel invigorated! 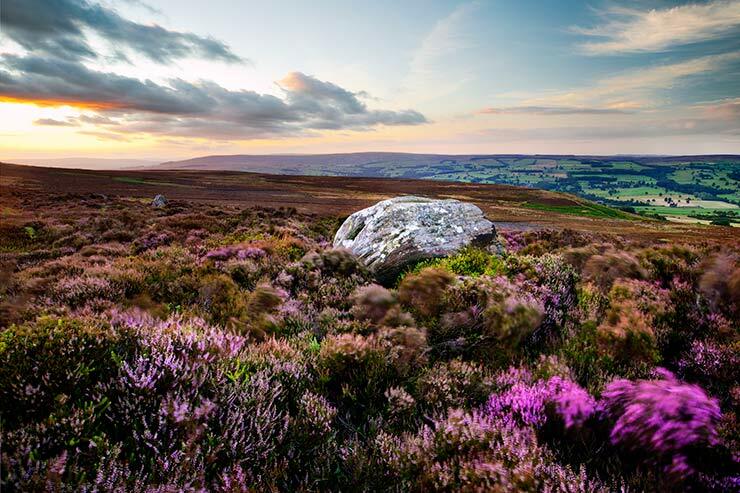 Nidderdale is one of the most beautiful and unspoilt parts of Yorkshire. Less frantic than the Yorkshire Dales yet next door to the National Park. 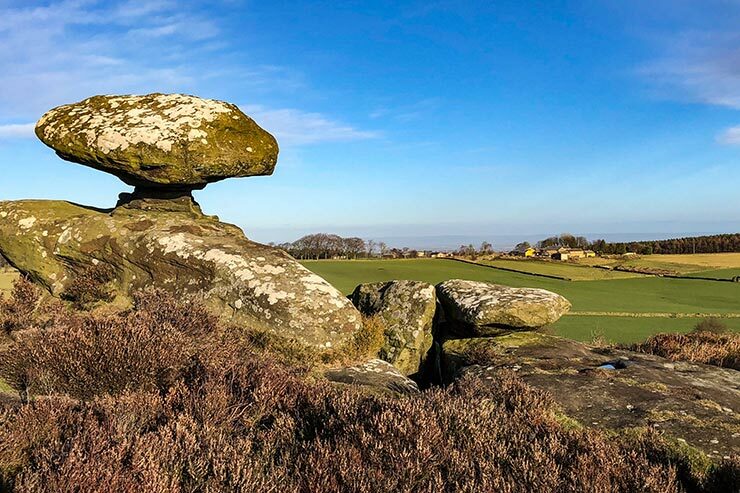 Brimham Rocks with its stunning views and amazing rock formations - great for kids and adults alike. Upper Nidderdale is simply stunning and always quiet. How Stean Gorge, a spectacular limestone gorge, is just up the road - outdoor activites including gorge walking, ghyll scrambling, via-ferrata, and much more. Scarhouse and Angram Reservoirs at the top of the dale, offer easy walking with stunning scenary. 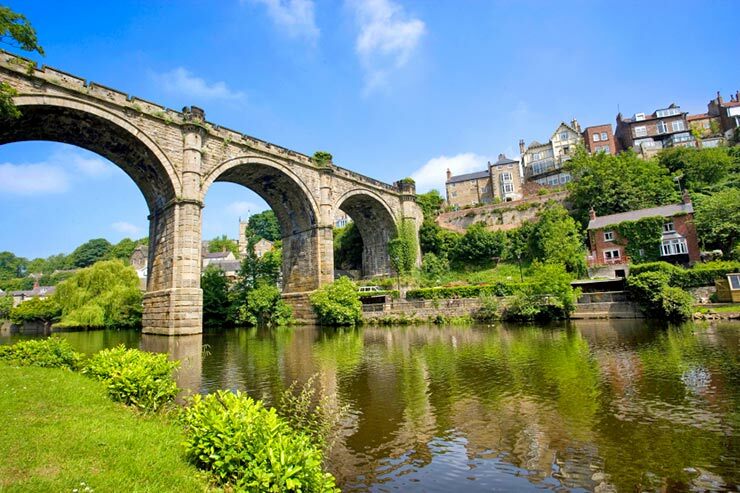 Also visit the pretty market town of Pateley Bridge, within walking distance of our cottage. Voted Britain's Best High Street (Village) in 2016. Great local shops, cafes and restaurants and a couple of great pubs. We're a short walk from the splendid Sportsman's Arms in Wath - oustanding food and great local ales, in lovely surroundings. A personal favourite! 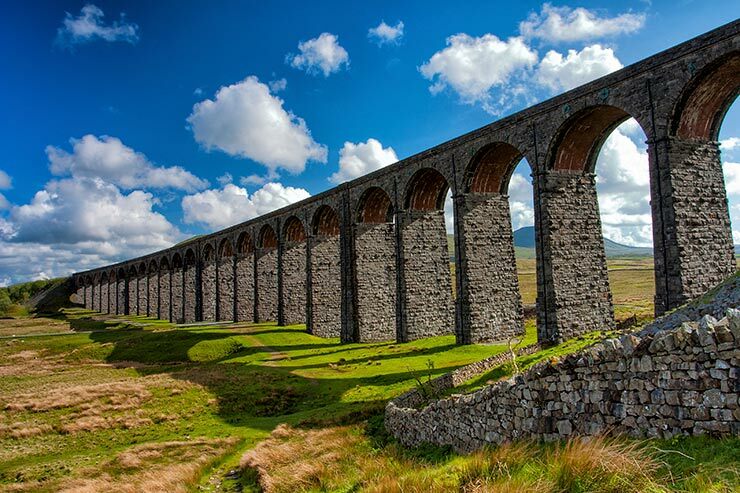 The Yorkshire Dales are only a short drive away - picturesque villages, breath-taking limestone scenery - limestone gorges, coves and pavements - rugged fells with stunning summit views, including the Three Peaks of Whernside, Pen-y-Ghent and Ingleborough. 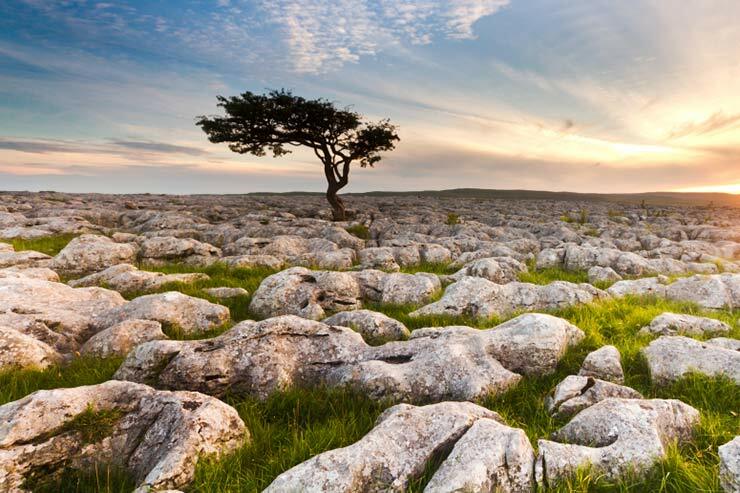 Malham Cove and Gordale Scar offer some spectacular views and walking in limestone country. The market town of Skipton with its historic castle and regular traditional markets, is a short drive away. Visit the Wensleydale Creamery in Hawes - the birthplace of Wensleydale Cheese made famous by Wallace & Gromit. A gorgeous drive to get there! Call in at Aysgarth Falls on the way there, where the River Ure tumbles over a serious of limestone ledges. The enchanting ruins of Bolton Abbey are close by together with wonderful walks on the Bolton Abbey Estate along and around the River Wharf. Fantastic for cycling, mountain biking and horse riding too. 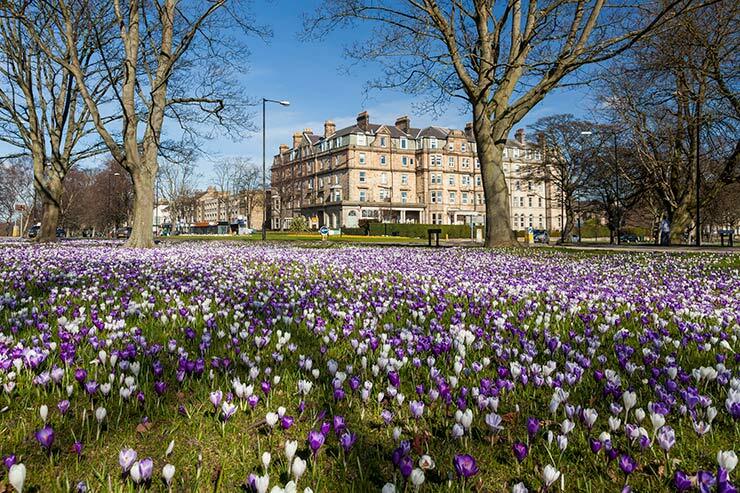 The famous spa town of Harrogate is only 12 miles away. Famous for its Royal Baths, Betty's Tearooms and Valley Gardens, as well as the huge expanse of protected land around the town centre, The Stray. Ablaze with flowers at all times of the year, it has to be one of the prettiest towns in the UK. Harrogate has a superb choice of antique shops, art galleries, & stylish individual shops. Fantastic cafes, and loads of great restaurants and "proper" pubs. Something to interest everyone. The city of Leeds is the nearest big city and is home to the big name designer shops ranging from Harvey Nichols, John Lewis to Vivienne Westwood. Harewood House and grounds are also worth a visit. Historic York is famous for its quaint cobbled streets known as the 'Shambles', as well many other attractions including York Minster, the Jorvik Viking Centre, the Yorkshire Museum and the National Railway Museum. Clffords Tower is also worth a visit. Award winning York Racecourse holds events throughout the year too. 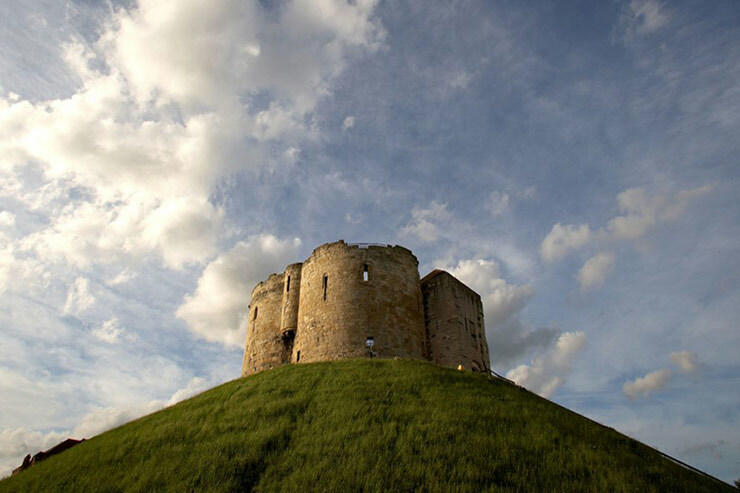 Nearby Ripon is well worth a visit for its magnificent cathedral and 'garden' racecourse which has held events for over 300 years. 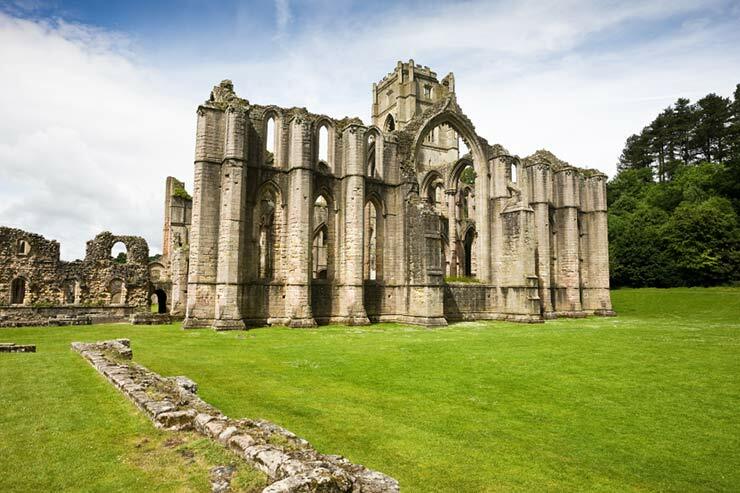 Close to Ripon is the UNESCO World Heritage Site of Fountains Abbey & Studley Royal Park. Explore the fascinating abbey ruins and the spectacular water garden walks. Just gorgeous!